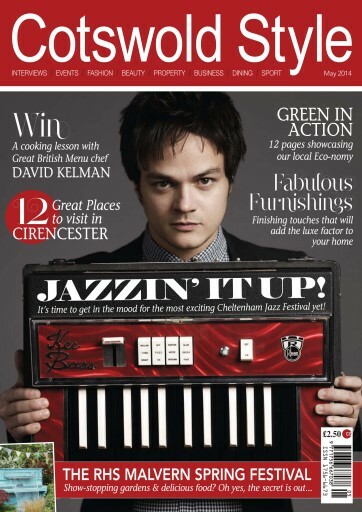 Summer is almost with us, and the month of May welcomes the return of the Cheltenham Jazz Festival, which we are celebrating with our fabulous Jamie Cullum cover! We chat to soul-singing sensation Natalie Williams ahead of her appearance at this year’s festival as she discusses her musical career and her friendship with the unforgettable Amy Winehouse. This month also brings the RHS Malvern Spring Festival, which attracts some 90,000 visitors to the Three Counties Showground. This year’s event will feature a greatly enhanced festival of food, bursting with artisan food and drink from around the world, plus a star-studded line up of high profile chefs including James Martin and Rachel Allen. Definitely two great events in this month’s calendar not to miss! 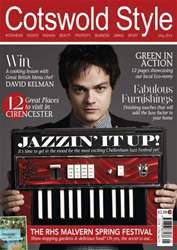 This month’s supplement, ‘Gloucestershire’s Green Eco-nomy’ celebrates our businesses adopting ‘green-eco’ values. Their stories are sure to leave you inspired. To get you in the mood for summer, our travel writer, Lucy Garbutt, transports us on a mystical journey to Peru, and our top competition this month brings you the chance to win a cooking lesson with Great British Menu chef, David Kelman. Enjoy!